Last week I pre-ordered Guild Wars 2 with no expectations. I did not participate in the beta, watch any videos, read any news articles, or anything. I just bought it on a whim. I bought it for the following two reasons: 1. 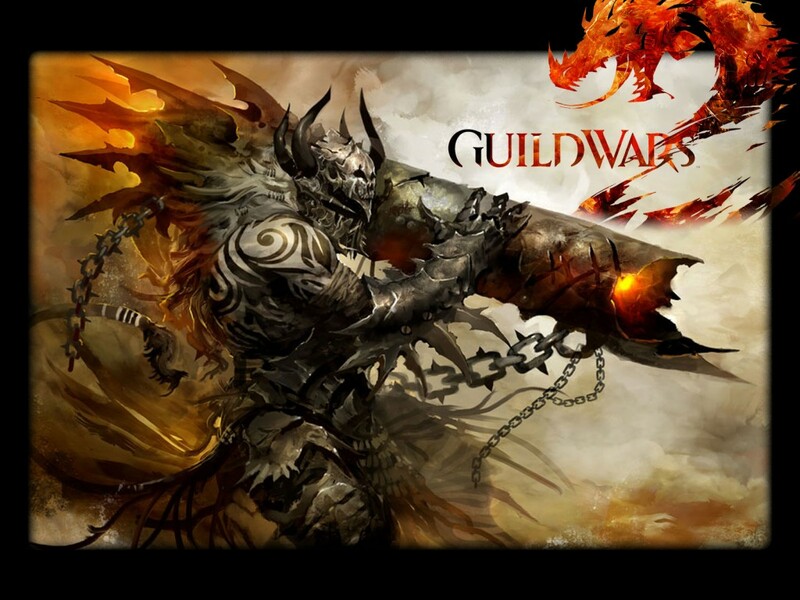 I like Guild Wars a lot, and 2. it does not have a monthly fee. With those two simple things in mind I set off on my fantastic journey of Guild Wars 2 blind. I created a character — a human Engineer — and created my story. The game has an interesting “My Story” concept where your story is unique (well, not really, someone could have chosen the same thing you did, but there are many choices) to you and you live it out as you level up. The game feels right. It’s easy to control, and the interface is clean. The way the game works is different. You do not learn skills as you level up per se. Each weapon for each class has its own set of skills. These are your basic skills, however there are more advanced skills you do learn. For instance as an Engineer I can use pistols, there are 5 skills associated with the pistol, but I can also learn how to deploy turrets or use various kits to change my primary skills. It sounds complicated, and it is at first, but it gets easier the more you play. There are no quests. Well not in the most common sense of the word. You enter areas where people need help — like clearing out rodents, killing Centaurs, tilling a field, or healing soldiers, etc — and the more you help them the more you advance the area’s “quest”. When the progress bar is full, you complete the “quest”, gain XP, and a monetary reward. Each area has numerous other things to do. Exploration is encouraged, and needed to gain various achievements. There are points of interest, waypoints, vistas, “quests”, and skill points. Points of interest are simple areas that are important. Walking near them reveals the name of the area. Waypoints work the same way, walking near them activates them, but you can fast travel to any of these once they are activated. Quests have been covered already. Vistas and skill points are unique map objects. Vistas are sometimes are to get to, but when you get to them you get a cinematic sweep of the area, and some XP. Skill points are areas to advance your skill. Communing with an object, drinking an elixer, defeating a harder than more mob, etc. When completed you get XP, and a skill point to use on your advanced skills mentioned before. In addition to all this content there is also a vast PvP system that is very complex. It’s called WvWvW or World vs World vs World. You and two other worlds (realms, servers) compete over four battlegrounds over points, such as towers, keeps, and supply depots. Three of the battlegrounds are the same, but represent each of the world’s home. With the realm the zone is named after getting the advantage. There is also a fourth that is balanced, but centered around a central keep. It feels a lot like Planetside, and I like it. I was finally able to join a guild, after a long time bug was finally fixed that didn’t allow people to invite others to their guild. The guild system is unique in that it allows you to join multiple guilds at once, but only choosing to represent one at a time. Once you join a guild, your whole account (and all of your characters) are apart of that guild. Each character you own has the opportunity to “represent” a guild which allows you to gain bonuses earn by the guild, and to chat with them. It’s an interesting idea, and I like it. I’m only level 25, and I’ve only completed two zones. The game says I’m 12% complete with the whole game, the game is vast, and I’m really liking it. So surprised is the word that keeps coming up when I play it. Worth every penny. I really suggest it to everyone. the posts are too brief for newbies. May you please extend them a little from subsequent time? How exactly would like me to elaborate? I wrote this as an appeal to fellow gamers, rather than an overview or review for a general audience. A review for this game is coming in the future.